If you’re like me and mine, and I like to think we are nothing but typical examples of the student struggle, then you’re excited to get into the workforce but have no idea where to start. For Media, Arts and Production students especially, getting into the film or theatre production world seems near impossible, and that’s including those that already have some connections. 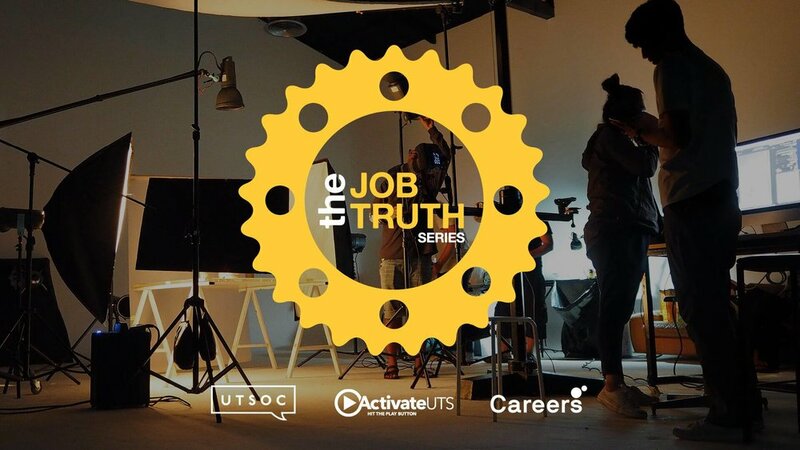 Designed to give students the inside scoop on their chosen industry, The Job Truth Series is a joint effort between ActivateSocial, UTS Backstage, Activate UTS, UTS Careers and UTSoC, which aims to show communications students what they should expect when breaking into the workforce. This Tuesday’s session is specially-planned for students with an interest in Media, Arts and Production, with professionals from the film and theatre industries joining a panel to give you tips on how to break into the field, and what it’s really like once you’re there. The panel covers a diverse range of professions, from film directing to theatre production and beyond. The best bit? They’ll answer all of your burning questions, so you can get a head start on planning your career. Aaron Liu, a third-year MAPS student, is excited for the event, and to see how he can put his degree to practical use. "I love MAPS! I like how the course provides workshops for people who don't know how to use the cameras or programs that are necessary for assignments. The group tasks are super fun because we can work like an actual production crew creating videos”, he said. “I'm keen to see how aspiring film makers like myself can get my foot in the door and hopefully be able to do what I love as a job." Nate Edmondson: An international, multi-award-winning Composer and Sound Designer for film, television, stage and advertising. The Job Truth Series: Media, Arts and Production is on this Tuesday 17 April 2018, 5.30pm – 6.30pm at ActivateSocial, 15 Broadway Street, Sydney, Australia, 2007. Register here for tickets. Bronte Gossling is a third-year (oh my god, already?!) Journalism/International Studies (Spain) student, who has a penchant for being super organised but is also perpetually late to any and all engagements. Nice.